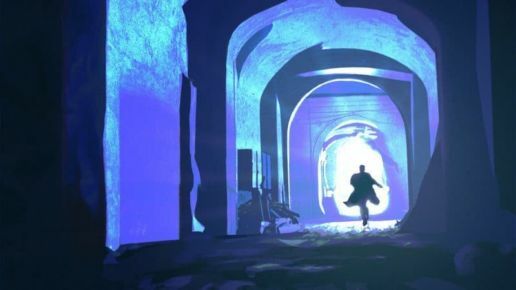 The movie theater experience, even with all its nostalgic romanticization, still holds the power to momentarily transport viewers into an immersive narrative that reflects our inner and outer worlds. Without sitting in dark theaters with massively-projected screens, additional elements like soundtracks, cinematography, or dedicated actors can and has been shaping films into absorbing empathy machines by letting viewers understand and identify with a wide range of stories and perspectives. The addition of virtual reality gives filmmakers an opportunity to allow audiences to have a more active role as spectators. Outside of the film industry, the term “immersivity” has attached itself into the world of virtual reality. 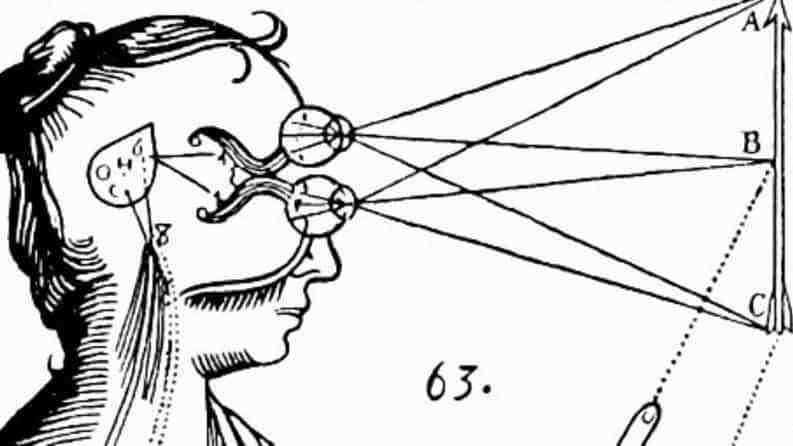 Virtual reality, or VR, is defined as a “realistic and immersive simulation of a three-dimensional environment, created using interactive software and hardware, and experienced or controlled by movement of the body” (dictionary.com). Today’s technology now lets us experience narratives in unique ways, and contemporary filmmakers are embracing VR as a new genre of film. 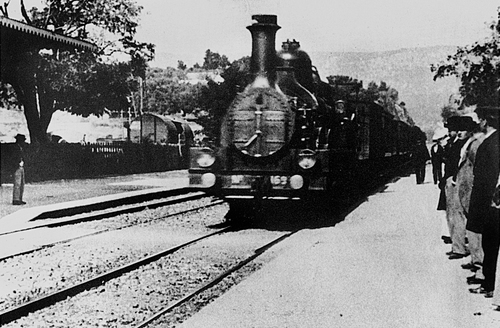 Arrival of a Train at La Ciotat (1895) by the Lumières brothers could be considered as the first instance of a virtual reality film. Those who attended a screening in the late 1800s were able to watch a silent, black-and-white film of a train arriving at a station. The camera was placed so it appeared as if the viewers were standing on the platform with the train growing closer in sight. It was rumored that viewers ran out of theaters in fear that the train would crash into them as the audience mistakenly confused a real event with a visual representation of one. This initial exploration of documentary filmmaking later evolved into the concept of first-person or POV films, like End of the Watch (2012) or Cloverfield (2008) as the film directs what the viewer will see in the perspective of the main characters. 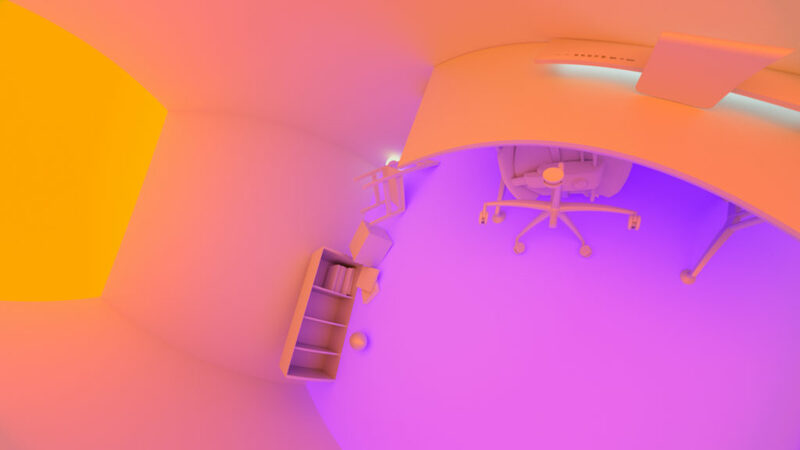 While those instances of filmmaking presents viewers with unconventional contexts, the incorporation of VR would push narratives to reach a deeper level of immersivity, “…[making] viewers think they are somewhere else…” as noted by UX designer Anastasiia Ku (Medium). 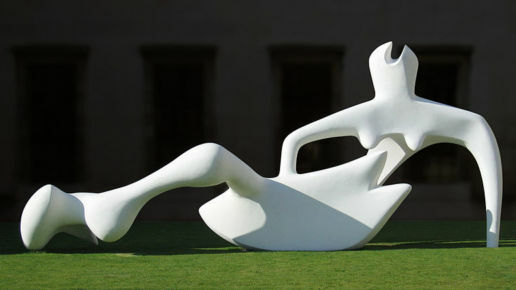 Viewers would believe they are in a new setting where they have the freedom to explore and navigate around a fabricated space. Similar to the video game industry, the player or audience possesses a greater sense of choice. The choice to actively change the direction of a story also helps to make the viewer feel like they are existing in a world of their own. VR shorts have already made their mark in major, world-wide film festivals like the Sundance Film Festival and Cannes International Film Festival, and film festivals themselves have become accessible ways to view virtual reality films through their support of independent and experimental projects. 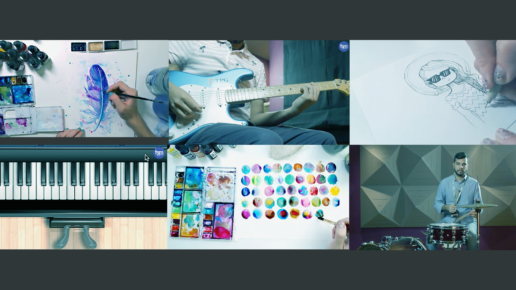 Some recent notable work includes The Pull (2017) by QubaVR and Miyubi (2017) from Felix & Paul Studios and Funny or Die. Viewers experiencing The Pull find themselves in an undisclosed science facility overlooking a series of experiments manipulating gravity. Organized into 5 sections, each part presents a room with everyday objects like tables to lamps, with each new room becoming increasingly chaotic. A sequence of sounds plays out which levitate and shift the items effortlessly around the room, suspending all laws of gravity. Film poster for Miyubi (2017). 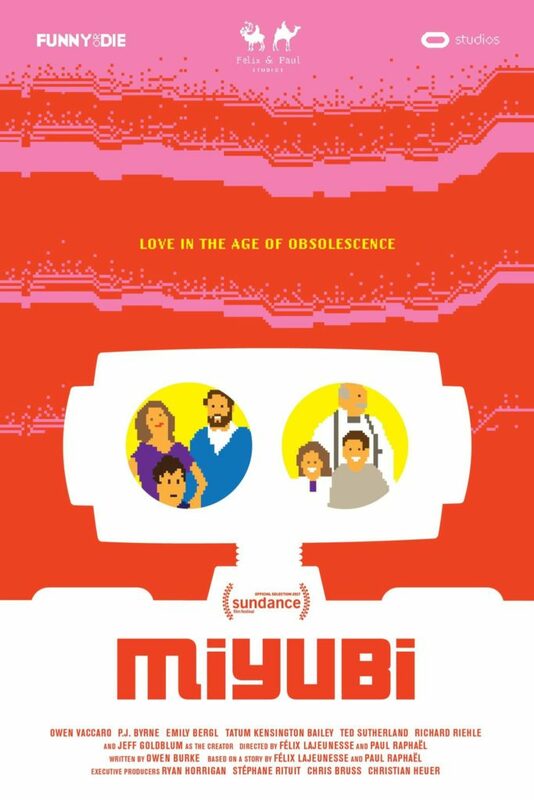 In Miyubi, viewers are in the body of a Japanese robot toy in an dysfunctional 80s American family. 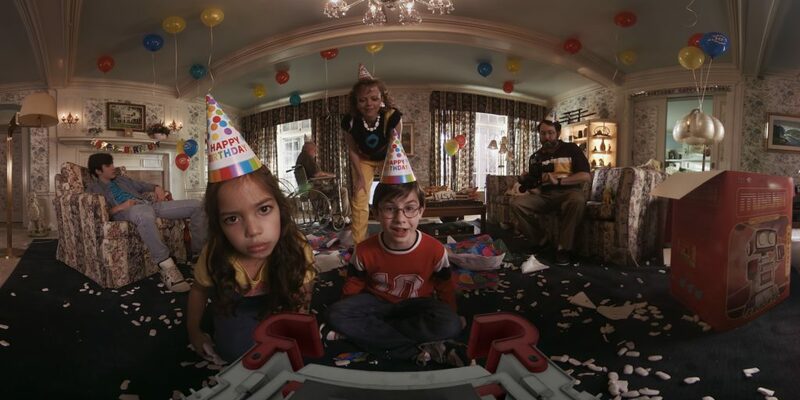 Running at around 40 minutes, this short film is considered to be one of the longest virtual reality films to date as most pieces have an average runtime of 5 to 10 minutes. The narrative is structured as a scripted comedy with real actors while weaving through a series of secondary plots involving different family members. This makes the work all the more believable and resemble the flow of a traditional film. Even with the audience inhabiting the perspective of a robot, they can feel like characters in the film rather than passive spectators. Why is there an increased interest in virtual reality filmmaking now? Even with the romanticism behind the movie-theater experience, various components such as movie theater attendance to the quality of movies have negatively impacted the livelihood of the film industry. Theater attendance has been dwindling in the past years thanks to rising ticket prices, and with streaming services like Netflix and Hulu, audiences can conveniently watch films almost anywhere. With the onslaught of Hollywood remakes, today’s blockbusters tend to lack the craft that made the originals memorable and special. Whatever combination of issues there may be, movie theaters and traditional films are now less likely to be considered a valuable source of entertainment for the general consumer. 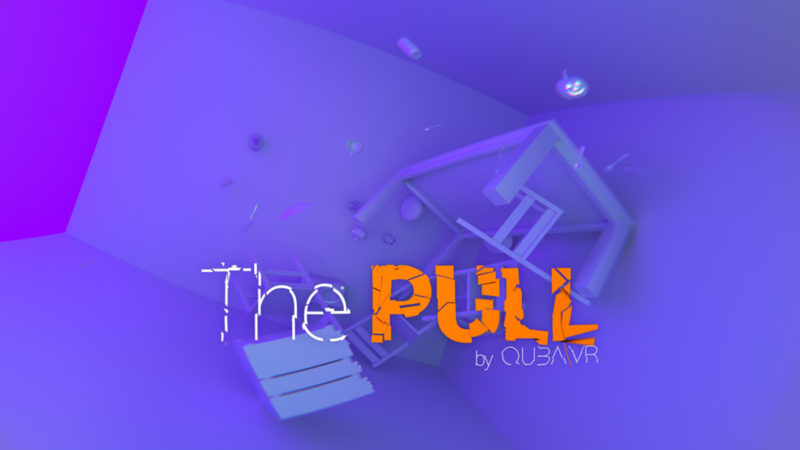 In The Pull, viewers are left to navigate a mysterious, disorienting environment that defies physics. 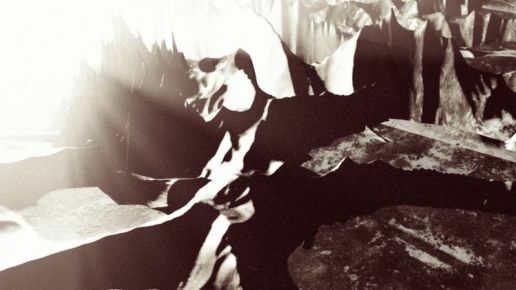 With the proliferation and accessibility of VR, incorporating modern technology into a seemingly dated medium has the potential to revitalize it into a new form of art, attracting a new wave of film and tech fans alike. Utilizing virtual reality won’t mean the art of filmmaking will cease to exist, but rather that old methods will help to progress and inform future ones. Virtual reality will let audiences experience an interpretation of what films can be beyond the constraints of the silver screen.